Ask any jet setter about what they think are the world’s prettiest cities, and it’s almost certain Rio de Janeiro will make their top five. Rio de Janeiro, “a cidade maravilhosa,” is indeed the marvelous city. No superlatives can adequately describe the city’s stunning natural beauty along the tropical coast of the Bay of Guanabara. 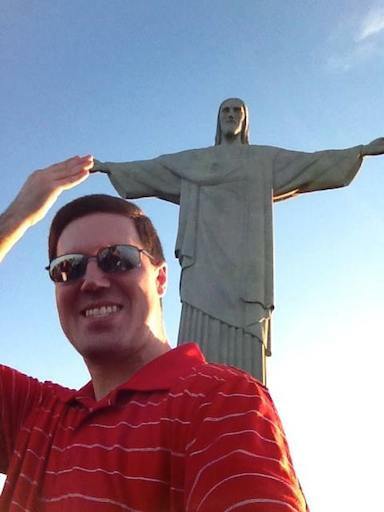 I have traveled extensively in South America, but my favorite city on the continent has to be Rio. I first visited with my brother back in 2008 and it was love at first sight. I have been fortunate to visit several naturally beautiful cities such as Cape Town, San Francisco, Sydney and Prague, but Rio de Janeiro for me stands out as the most stunning. However, there is more to it than its natural beauty and ethereal landscapes. I don’t know exactly what it is about Rio, but it is a mysterious and lively city that has utterly charmed me. So what is so great about Rio? From Leblon to Ipanema and Copacabana to Barra da Tijuca, Rio has the most beautiful beaches in the world. The beach culture itself is epic and unrivaled. It doesn’t matter your age or socio-economic status – everyone seems to be enjoying themselves on Rio’s beaches. People aren’t ashamed to show their bodies here. From the stereotypical garotas de Ipanema who wear impossibly small fio dental (dental floss) bikinis, to older men in their 60s wearing Speedos, people throw out their insecurities, embrace the beach and worship the sun. Beach volleyball and futevolei matches rule up and down the beaches like Copacabana and Ipanema. Vendors hawk every conceivable food, drink and service along the beaches. This is world-class beach culture! Towering above these beaches are perhaps the most beautiful mountains to overlook a coast anywhere in the world. But venture up into the mountains into parks like Floresta da Tijuca and you will find yourself in a rain forest with a number of scenic overlooks. You’ll quickly forget you are in the second-largest city in Brazil and the sixth-largest city in the Americas. However, the most famous view tourists enjoy is atop Corcovado where the iconic Cristo Redentor seems to raise his arms welcoming all visitors below to the Marvelous City as he overlooks the Bay of Guanabara. 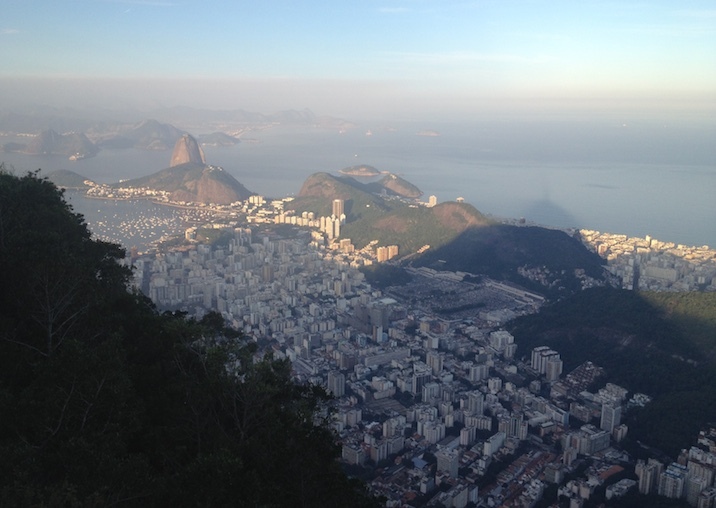 Of course, Pão de Açúcar (Sugarloaf Mountain), offers equally breathtaking views of the bay and the city. 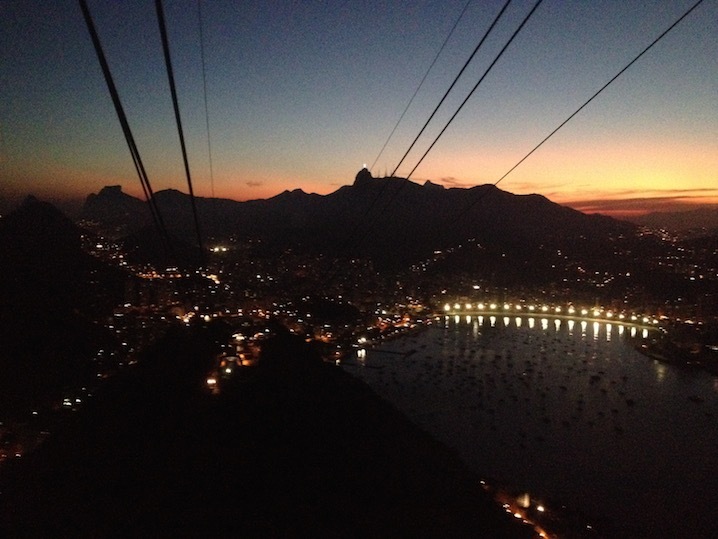 I recommend visiting Corcovado in the morning before the weather can change and taking the two cable cars up to the top of Pão de Açúcar for sunset. Like many visitors, one of my favorites streets is the famous Avenida Atlantica in Copacabana. 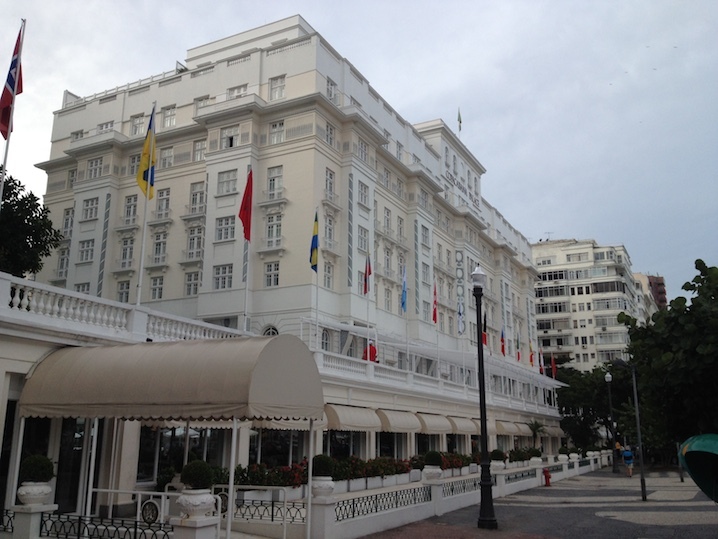 I usually stay in Copacabana, like I did during my last visit at the Winsor Copa on Avenida Nossa Senhora de Copacabana. During the day, I thoroughly enjoy walking down The Orla — the famous sidewalk that runs along the beach — simply for the people watching. I also find Lapa, particularly with its old aqueduct and bohemian Santa Teresa to be interesting neighborhoods to visit for their history. However, only tour these two during the daytime. Rio offers up one of the best selections of restaurants of any city in the world. But there is also incredible street food and markets full of tropical foods like mangos, pineapple, tapioca and açaí, and meats from barbecue beef to chicken. You have to try traditional Brazilian dishes such as feijoada (black bean stew) and pão de queijo (Brazilian cheese bread) which are both delicious. The Casa da Feijoada in Ipanema on Rua Prudente de Moraisis is legendary for its feijoada and is thoroughly worth waiting in line! Of course, you cannot go to Rio with drinking a caipirinha, the national drink made with lime, sugar and cachaça (sugar cane liquer). Brazilian beers are also light and very refreshing. I recommend Skol, Antarctica and Bohemia. Let’s just say you know your Portuguese is coming along okay if you can pronounce Antarctica correctly! 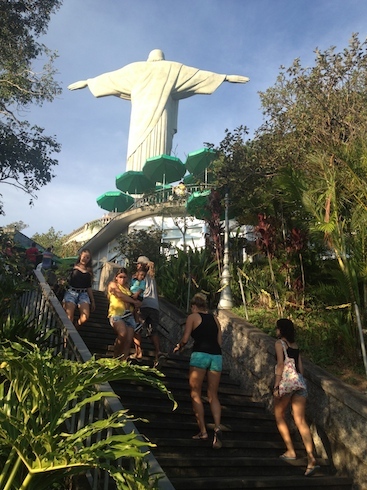 For me, what really sets Rio de Janeiro apart is its people. In my opinion, Brazilians are some of the most laid back, generous and kind people in the world. 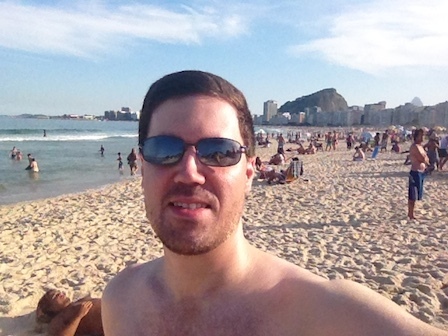 Rio has incredibly warm and hospitable citizens for such a large city. From the grocery store to the beach, a stranger will greet you and ask you how you are doing. It’s a city with a knack for welcoming strangers to celebrating life such as during Carnival. Make no mistake, Rio has its warts and problems. Crime and violence are high. Venture off the beaten path into the drug-ruled favelas – shanty towns – that hug the cliffs surrounding the city, and you might invite yourself into a very bad situation. In the government, corruption continues to be a major problem that the city cannot seem to shake. However, Rio has so many incredible wonders that the city will make you never to want leave. Happy 450th birthday, Rio de Janeiro. Você é maravilhosa!